"Famous for appearing in the Andergraun Vibrations Vol. 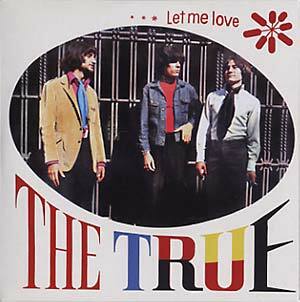 3 compilation, The True were a legendary Spanish power trio from the late sixties who were very influenced by early Pink Floyd and Jimi Hendrix. Lead by guitar-hero Herman de la Torre, they only recorded a very rare EP in 1969 for a tiny label from the Canary Islands. Now impossible to find with original copies changing hands for outrageous sums, here's a cool exact reissue featuring the original artwork and original three tracks. Includes the killer fuzz number 'Let Me Love' plus two soulish raw covers of 'Hush' and 'In The Midnight Hour.' Limited to 315 copies!"